Bonjour everyone, A quick post. I made this cake yesterday eve for our family gathering as we got together for some soulful music and food. I had some about-to-go-bad banans in the fruit bowl and no eggs but knew I wanted to bake something! 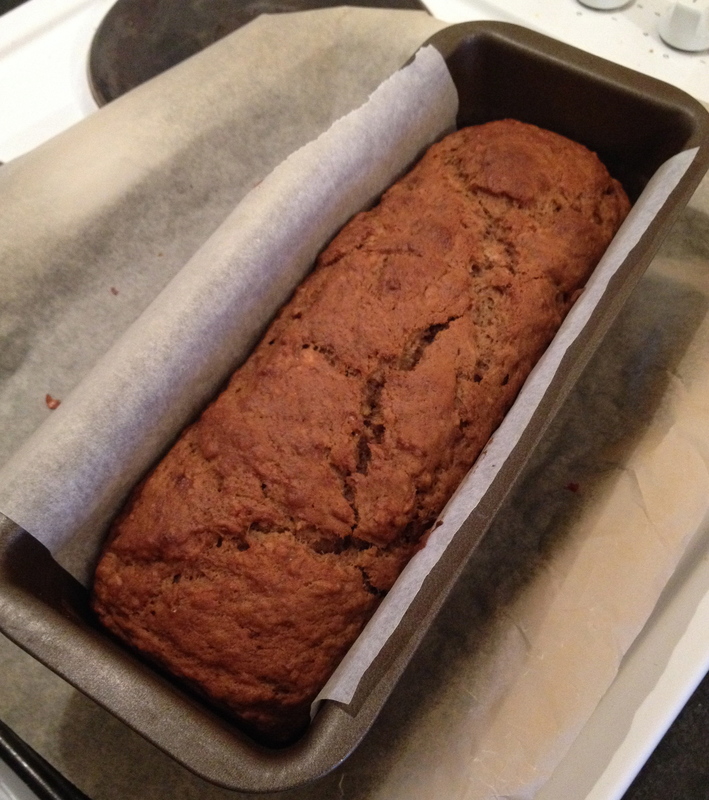 So searched online for anything vegan with banana and found this lovely recipe here: http://www.bbcgoodfood.com/recipes/2277635/vegan-banana-bread and I modified it (less sugar, more spices, no nuts). The comments were, “Vegan? Seriously? If someone served me this and a normal banana cake, I wouldn’t know the difference! It’s soo soft and squidgy! Yumm yumm yumm and I can truthfully say, it really was. We were 9 in total but my sister counted 8 so I cut it all up and ended up, one short. So I took the hit and started bitting off everyone’s piece……..although some people didn’t wanna share but encouraging me to eat some from others! You know yourself! 😛 🙂 A lovely Thursday to you all and please make this if you have banana at home. It’s really easy with no fancy ingredients and you won’t regret it, trust me. If you do, send me a comment and tell me off. For me, I think I am a Vegan banana cake convert! To be honest, I didn’t think it was gonna be that nice to share on here so I took only one pic of it after it came out of the oven and here she is. Thoroughly mix mashed bananas with oil and sugar. Now add the spicy flour mix into the oily banana mix, and combine well. Bake in a lined loaf tin for 40 mins. Allow to cool, slice and Enjoy!